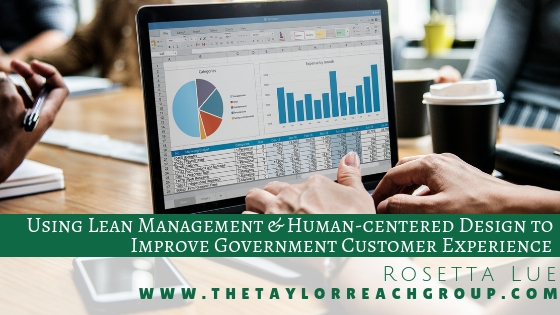 Using Lean Management & Human-centered Design to Improve Government Customer Experience | The Taylor Reach Group Inc. Lean Management is a customer-centric methodology used to improve the current business process by using the DMAIC (Define, Measure, Analyze, Improve, and Control) technique. Following the DMAIC blueprint will provide organizations insight into what the actual root cause problem is by measuring and analyzing various data sets, and developing process flow maps to understand the “as is” state. Analyze: Analyze and determine the cause(s) of the defects (understanding the waste). The lean approach focuses on increasing taxpayer value by improving the processes associated with delivering high customer value. Using the problems defined through the human-centered design research will point government in the right direction to which processes it needs to begin to hone it on. The problems government thinks are pertinent, may not be relevant in the eyes of the taxpayer. The contact center, being one of the first touch points for a taxpayer, can be re-engineered to run more effectively and efficiently by making the internal workflow of calls leaner. The “as is” process map is the starting point to improving services because it visualizes the current process allowing for a clear picture of evident breakdowns in the process. 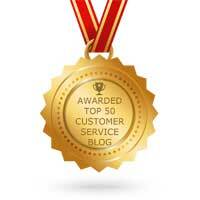 Defining the problem with the contact center and understanding the process is one piece to the puzzle. The ability to measure, analyze and improve based on the data collected is a critical component to developing sustainable, scalable solutions. Analyzing the various data sets will allow designers to identify areas of waste in the process, ultimately improving the experience of the taxpayer while simultaneously decreasing internal costs for government. More often than not, the government will tack on more employees and additional resources to a problem that can be easily solved by redesigning the process to work more efficiently. The desired outcome is to develop a solution that will be sustainable for government and taxpayers in the future and not a stop-gap solution for today. Improving how calls are routed, improving the verbiage in the scripts, shortening wait times, and upgrading data collection platforms are all interlocked in improving the taxpayer’s experience when interacting with the contact centers. The one common denominator for all this to be successful is data. Data will allow leadership to understand the pain points in the process and begin to take a proactive approach in improving the taxpayer’s experience. Lean methodologies break down each component of the process to ensure the internal value stream is being utilized effectively to increase customer satisfaction. Human center design thinking is instrumental in providing lean management with accurate taxpayer problems to lay the framework for business process improvements across all facets of the contact center. Follow Taylor Reach and Rosetta Lue on Twitter at @Taylor_Reach and @rosettalue. To find out more about how Taylor Reach can help your company with Lean approaches to Government contact center applications, CLICK HERE to schedule a free consultation.